Uncles were friendly. One thing, yall just have to check the weather to enjoy. The rain just ruined the fun. It was still cool though. This one’s the budgeted sideways tour but still fun! Travel to some of Singapore's oldest territories and discover its origins as you stroll down memory lane. 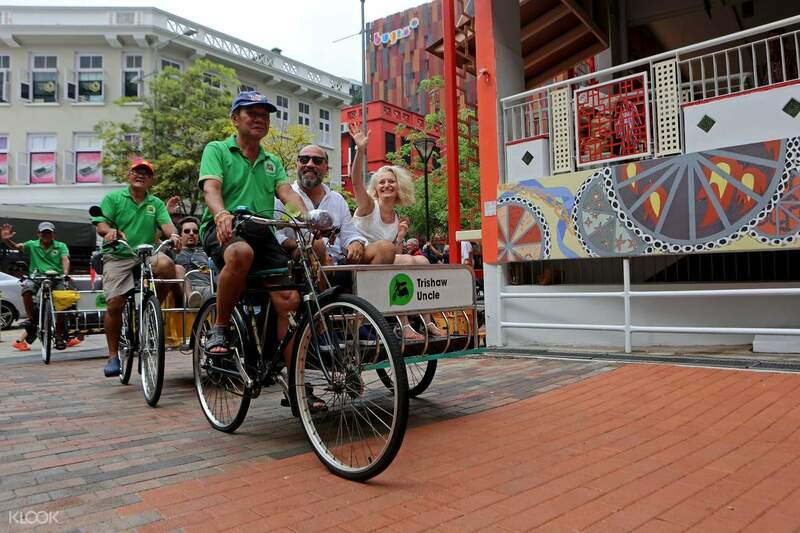 Enjoy the tropical breeze on a Trishaw Uncle ride and blend into each district – Singapore River, Little India, Kampong Glam, and Chinatown – for an authentic, old-timey Singaporean journey. 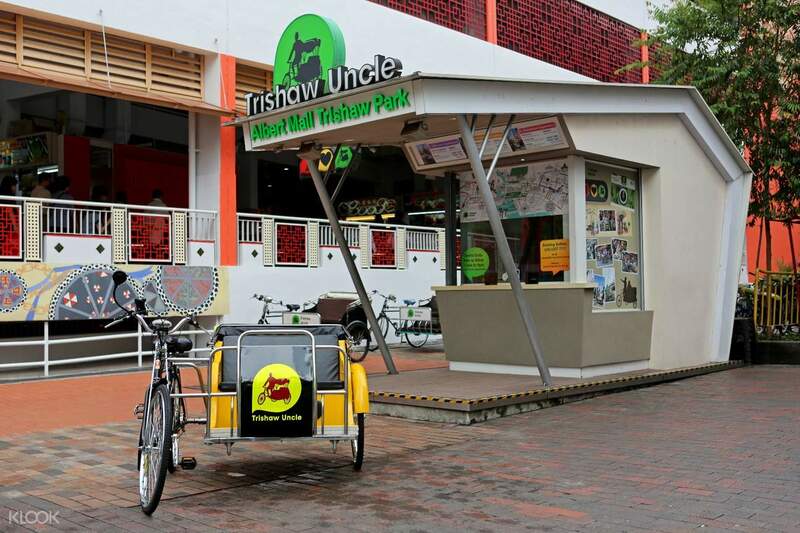 Be greeted by a true blue trishaw “uncle,” a term of endearment for trishaw riders given by locals. In history, trishaw uncles formed the early backbone of the country's labor force, thanks to their manual strength to get people to places before the emergence of modern transportation. Beneath every unique corner has a story of its own and combining them all together lead up to the competitive, thriving nation we know as Singapore today. Venture deeper into Chinatown for its temples and restored shophouses; Singapore River for its incredible port relations with the rest of the world; Kampong Glam for its migrant roots with hints of Malay and Indian cultures; and finally, Little India for the interesting mix of local and migrant communities. 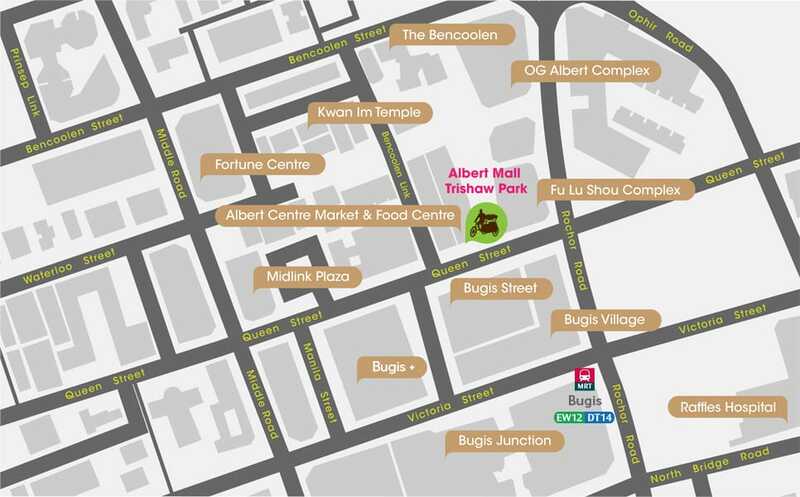 Don't forget to drop by the shops in these areas and treat yourself to some kitschy souvenir. Guided by professional trishaw riders, you're in for a different kind of expedition as you look back to these places in awe. 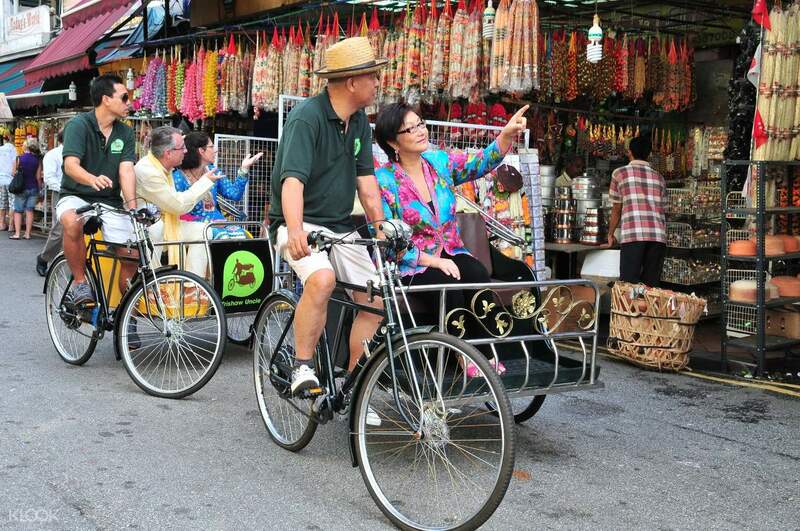 Hop in a traditional rickshaw cycle and embark on a unique tour around Singapore's oldest streets! Immerse in the sights and smells of Chinatown – every corner is bursting with culture! 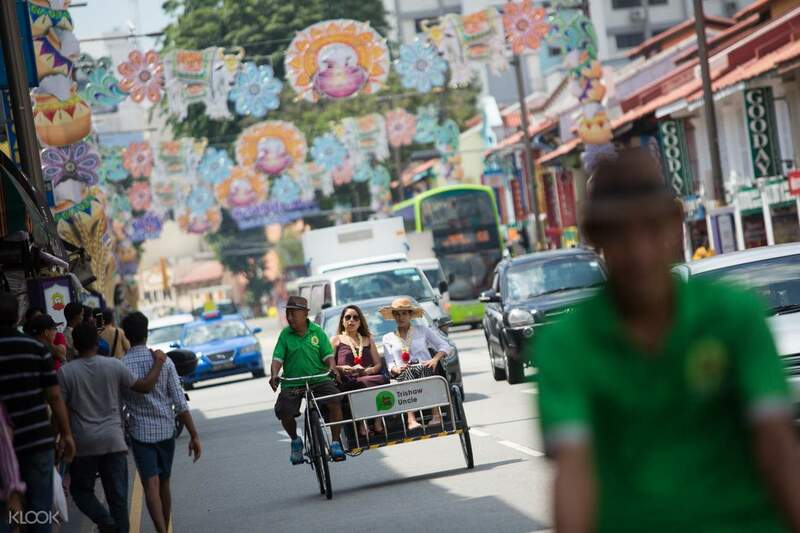 What a great experience being cycled through the old and new Little India. Our guide was a wonderful man aged in his 70s and so very proud to describe our tour.even the people at the ticket office were very friendly. A must do for everyone. What a great experience being cycled through the old and new Little India. Our guide was a wonderful man aged in his 70s and so very proud to describe our tour.even the people at the ticket office were very friendly. A must do for everyone. Uncles were friendly. One thing, yall just have to check the weather to enjoy. The rain just ruined the fun. It was still cool though. This one’s the budgeted sideways tour but still fun! Uncles were friendly. One thing, yall just have to check the weather to enjoy. The rain just ruined the fun. It was still cool though. This one’s the budgeted sideways tour but still fun! Timing is too short (only 30 minutes) for a guest of S$35/ trip. There was no at least one stopping for guests to take photos. Timing is too short (only 30 minutes) for a guest of S$35/ trip. There was no at least one stopping for guests to take photos.